Green and Glassie: Loom Bracelet Bag! Check out what we are ordering for Isa! Isa makes Loom bracelets and is currently keeping all of her supplies in a old Easter basket. This is perfect! Very reasonable priced! Only $17.00 perfect gift for the holidays! The Bag Ladies live in our area...I own two sets of their corn bags. All of their items are well made with great workmanship and quality products. They are a Mom and Daughter team! Go Here to Order from The Bag Ladies! Brilliant! 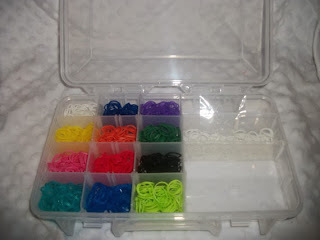 My daughter is getting a loom bracelet kit (shhhh! don't tell her) for Christmas, and she is definitely going to need something like this to keep all of her supplies organized. That is a great idea and so organized! Love it! My oldest daughter would love this for Christmas!! Those are great bags! I love the personalization too! I had no idea what loom bracelets are, but they seem so much fun to make! Love the bag too! This is so cute. I love the bag idea. That is adorable! My daughter would enjoy receiving one of these for sure. 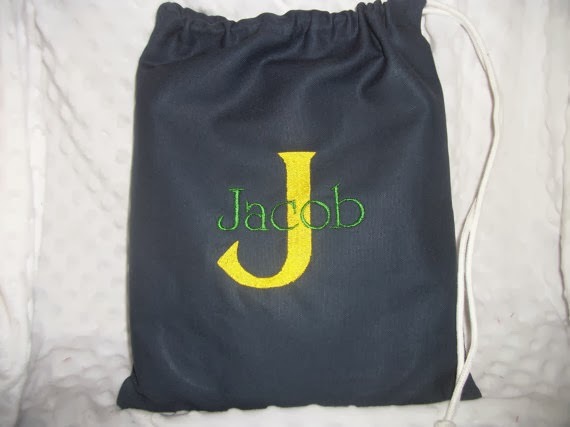 I love the personalized bag. 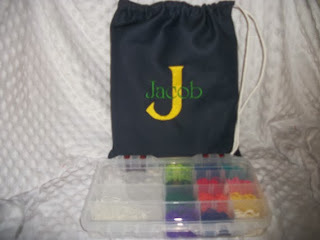 What a great way to keep your daughter's craft supplies organized, Very cute loom bracelet bag. My daughter is getting a loom for her birthday in January. I'll have to keep this in mind! great idea - I use a box similar to this to store all my daughter's hair clips and pony tail holders. Love that catch-all bag. What a super way to keep things together in a cute way! What a great bag. I love anything that is personalized. Love this bag-- would be a great gift! My 4 year old is obsessed with these!! I am also getting my 6 year old a loom bracelet kit her 11 year old cousin has one and she wants one so bad.. I love this to keep it organized and all color cordinated..Love it..
As I read this post, I am trying to figure out my children's loom kit.